Dutch conductor Robert Kahn is currently finishing up his conducting studies at the Mannes School of Music. Conversant with both operatic and symphonic repertoire, Robert was the assistant conductor of the Mannes Opera for the 2015-18 seasons, working under Met Opera conductor Joseph Colaneri. 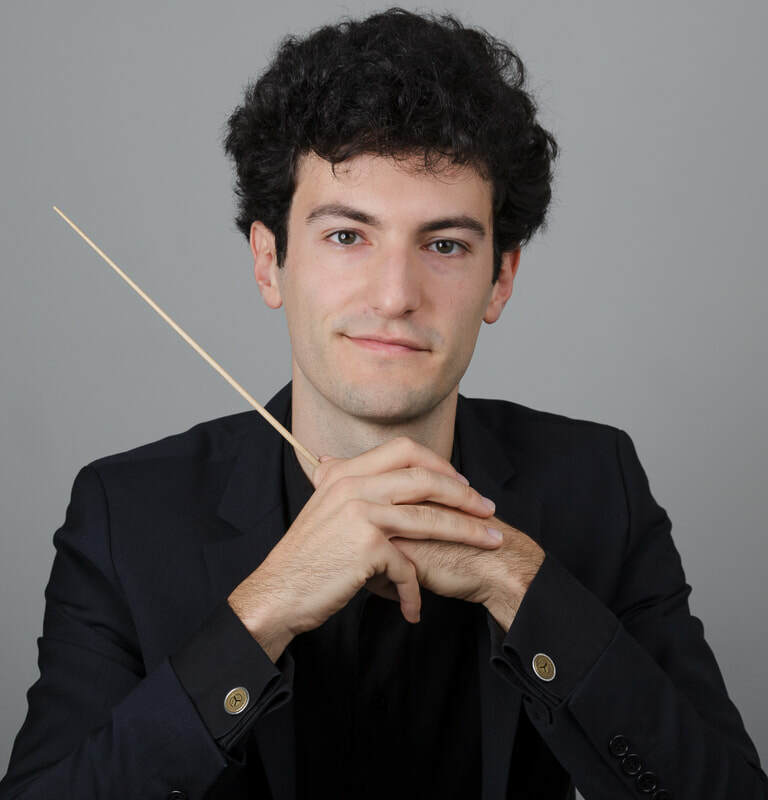 As a recipient of the Julius Rudel Conducting Award, Robert served as cover conductor with the Buffalo Philharmonic under JoAnn Faletta for several weeks during the 2016-18 seasons. In the summer of 2018, he was one of twelve participants at the Gstaad Conducting Academy, studying with Jaap van Zweden and Johannes Schlaefli. In 2019, Robert will serve as assistant conductor for the Juilliard Opera’s production of Don Giovanni. With the Mannes Opera, he worked on productions of Le Nozze di Figaro, Così fan Tutte, L’Elisir d’Amore, The Rake’s Progress, Barber’s Vanessa, and Mark Adamo’s Little Women. Robert recently served as guest conductor with the Chamber Orchestra of Philadelphia, conducting an educational concert. Last year, he was the associate conductor for On Site Opera, conducting several performances of a newly commissioned opera at the Museum of Natural History. Robert also conducted new opera works at Opera Philadelphia's Double Exposure workshop. In 2017, Robert conducted Benjamin Britten's A Young Person's Guide to the Orchestra with the Buffalo Philharmonic at a family concert. With the International Chamber Orchestra of America (ICOA), Robert conducted a symphonic concert at Lincoln Center's David Geffen Hall. In addition to conducting, Robert is active as a clarinetist and composer. His String Sextet No.1 was performed and recorded in California, and his arrangement for Clarinet Choir was recently published in The Netherlands. As clarinetist, he has performed at venues such as Carnegie Hall and the Amsterdam Concertgebouw. Robert is currently pursuing his Professional Studies Degree in Orchestral Conducting at Mannes College, studying with David Hayes. Previous conducting teachers include Ignat Solzhenitsyn, Harlan D. Parker, and Harold Farberman. He holds a Double Bachelor’s Degree in Physics and Clarinet from The Johns Hopkins University and Peabody Conservatory.